IndiGo: Thins seats, widens savings. Indigo – the Indian airline known to religiously adopt best low cost carrier practices, thanks to its founders who brought with them unequalled relevant airline experience, has taken yet another step to lower costs, and in part increase passenger comfort. IndiGo flies one aircraft type- The A320-232, with some of the newer ones featuring fuel saving wingtip modifications known as ‘Sharklets’. As of date, the A320 can seat a maximum of 180 passengers in an all-economy cabin layout. With such a configuration, all seats, with the exception of those at row 1, 12 and 13-the later two being emergency exit row seats- feature a 29 inch seat pitch. Of the 29 inches in seat pitch, around 4 inches may be subtracted due to the thickness of the seat, leaving an effective room of about 25 inches, or 2′ 1″. For an average Indian with a height of around 171cm and a Body Mass Index (BMI) of 24, this leaves between two to three inches between the knee and the seat pocket in front. Magazine thickness in the seat pocket affects how much ‘knee’ room is finally available. With SpiceJet talking about its latest cabin product SpiceMAX, where the first five rows of most of its Boeing 737-800 & -900 aircraft feature a generous 35 inches of seat-pitch, or about 31 inches from the backrest to the seat pocket in front – or half a foot more than IndiGo’s offering, IndiGo may have felt threatened by its inability to match such a product for its passengers. The Flying Engineer learns that the airline has recently changed its passenger seats to the Dragonfly from SICMA Aero, which manufactures and sells aircraft seats under ZODIAC Aerospace group. The airline previously flew the model ‘5600’ seats from Weber seats – the company which in 2012 became Zodiac Seats U.S. LLC, which is now a subsidiary of Zodiac Aerospace of France, and is one of the largest manufacturers of airline seats in the world. The new ‘Dragonfly’ seats offer a double advantage and a disadvantage. The new seats are thinner, and lighter. Thinner seats free up more legroom. The seats offer between and inch and two of extra legroom. The lighter seats shave off 700kgs from the airline’s aircraft’s operating empty weight. 700kgs on a Bangalore-Delhi sector of 1000NM translates to a saving of about 50kgs of fuel per such flight. The savings are as low as 0.6% for a short (200NM), full flight, and 0.8% for a long (1000NM), full flight, and can touch 1% when load factors are lower. With savings between 10kg and 50kg of fuel, dependant on the flight, an assumed 20kg of saving per flight, on average, translates to a saving of 3.65 million kg of fuel per year, assuming 500 daily flights. This translates to INR 34 Crore per year, with an average fuel price of INR 74.69 per litre. The disadvantage, as reported by a recent flyer on board IndiGo, is the discomfort associated with such seats. The manufacturer describes, “With its ergonomic stamped backrest, the Dragonfly offers tremendous operational savings, fewer parts and increased cabin density – all the while adapting to finicky passengers’ growing desire for improved living space”. However, comfort isn’t stressed upon as much as the 5600’s, and the thinner cushioning has been reported as relatively uncomfortable. Further, unlike the model 5600, the Dragonfly seats may not be IFE capable. The seats on board IndiGo’s A320s are 18 inches wide, inner armrest to inner armrest. Airbus offers customers an option of 17 inches seat width with a 25 inch wide aisle – a configuration designed for quick turnaround times, or 18 inches seat width and a 20 inch wide aisle – a configuration designed for enhanced passenger comfort. To be fair, the seats on SpiceJet’s 737s – as are all 737s, world over- are only 17 inches wide. Barring the first five rows of ‘SpiceMAX’ seats, and seats on the emergency exit rows, most other seats on SpiceJet’s 737s feature a 29 inches seat pitch, which offer a passenger 25 inches from the backrest to the seat pocket, and 17 inches in seat width. IndiGo’s seats, however, offer one to two inch more legroom, and one inch more seat width, catering to the ever increasing population of those with above-normal BMIs. The new seats allow the airline to offer more space uniformly across the cabin, while saving money, too. An eye on costs is what the airline is known for: the airline has a very strict fuel policy, wherein the airline, and not the captain, decides on how much extra fuel must be uplifted. This has been possible due to a strong analysis of historical fuel data. The airline also incurs a cost of between INR 4 and 5 for every kg of potable water that is uplifted. The capacity of the potable water tank is 200 litres, but the airline monitored water consumption for every sector, and now only fills between 40 litres and 120 litres, depending on the sector. As a result, the airline saves between INR 320 and INR 640 per sector. Assuming a very conservative saving of INR 300 per sector – the airline saves, over 500 flights a day and over a year, almost INR 5.5 Cr. Savings – possible through constant innovation, quick adoption of fuel saving technologies, constant analysis, great strategies, and strict implementation. Thanks to Oscar Victor for certain data. On August 20, 2007, a Boeing 737-800 registered B18616 (Boeing MSN 30175) operating as China Airlines Flight 120 departed from Taiwan, Taoyuan International Airport on a scheduled flight to Naha Airport, Okinawa, Japan. The aircraft caught fire, and exploded after taxiing and parking at the gate at Naha Airport. While initially it appeared as a freak case of a spontaneous Boeing 737NG’s combustion, investigation has reveled the true cause of the incident which is very, very interesting. While there can be a textual description of the findings, it is best explained through this very clear animation, and will be best appreciated by maintenance engineers and technicians. Not a single screw, or washer must be left behind. 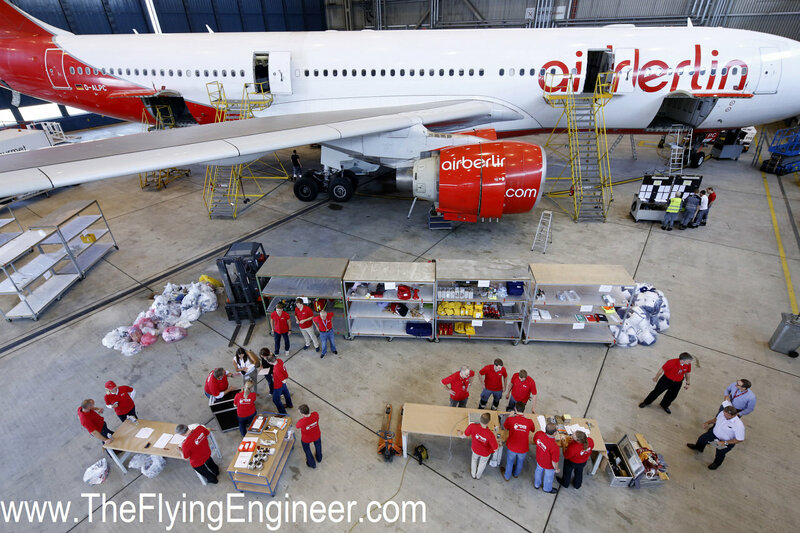 After all, the manufacturer spends years researching and bettering the airplane, and the combined experience that goes into designing the airplane far outweighs the combined experience of all technical staff in any single airline. Watch the FAA animation HERE. (LINK). Air Berlin’s focus on reducing its carbon footprint, and its fuel bills, is inspirational. Airberlin, despite having achieved a new record with its average fuel consumption of 3.4 liters per passenger kilometer flown, is continuing to extend its pioneering role through constant innovative developments. It has so far had three approaches to reducing fuel bills: through operational techniques, which involves pilots; through drag reduction techniques, which involves maintenance of the aircraft skin paint, and now through weight reduction programs. Weight, Drag, and Flying techniques: all three impact fuel burn. In 2012, the Fuel Efficiency Training program was introduced in which 60 pilots served as “Fuel Coaches” to pass on their knowledge to around 280 pilots, on “Fuel Efficiency Flights”. These flights placed emphasis on the use of the GPU instead of the APU, when parked at the gate; Continuous Descent Approaches, and Single Engine Taxi. These save not only fuel, but cut maintenance related bills due to reduced system wear. Airberlin also became the first airline to develop new software for aerodynamic optimization, using a in-house developed measuring tool aimed at optimizing air flow over the aircraft exterior. This new software calculates the additional fuel consumption due to the increased air resistance and allows Airberlin to repair these specific flaws in the course of the next maintenance event. In its latest drive, “Mission Clear Out”, Air Berlin removed all non-fixed items from an Airbus A330: D-ALPC, to weigh and identify those that were essential, non-essential, and those that could be replaced with something lighter. For example, the Quick Reference handbook is essential, but a hard copy of the manual does not need to be carried since it is already available in digital form on the computer in the cockpit. With this exercise, Air Berlin was able to save 17kg, which, over a year, translates to significant savings. The longest route flown by Air Berlin is to Los Angeles, from Berlin, which is around 5,000NM. An Airbus A330-200 burns, over this distance, approximately 200kg of fuel for every 1000kg of additional load. If even 17kg is knocked off an airplane, it translates to a saving of 3.5kg per aircraft, and at least 7 kg per aircraft per day. Over a year, this amounts to 2,555kg per aircraft per year, or 3,200 litres per aircraft per year. With their fleet of 14 A330-200 (as of 30th of June 2013), this can result in a saving of as much as 44,712 liters of ATF per year, and this is huge: enough to fuel an A330 for a 4,000NM trip! “This project has demonstrated that Airberlin is already very well positioned in terms of eco-efficient flying, since only a few items were found that were non-essential. Nonetheless, the expense has paid dividends and reduced annual CO2 emissions per aircraft on long-haul routes by about eight tonnes, which is equivalent to 2.5 tonnes of fuel,” said Christian Bodemann, Head of Cabin Maintenance at Airberlin technik and the project manager of Clear Out. The mission has had a further positive outcome: during the detailed analysis carried out on the aircraft’s non-fixed furnishings, it was possible to identify several follow-on projects, which Airberlin will now continue to pursue as part of its efficiency drive. Recently, Airberlin received the “Silver Eco-Airline of the Year” award, given as part of the Eco-Aviation awards, by the American aviation magazine Air Transport World, in recognition of its commitment in the area of eco-efficiency. Indigo just became India’s first airline to operate a sharklet-equipped A320, with its VT-IFH registered Airbus A320 that it took delivery of, on 28th January, 2013. VT-IFH bears manufacturer serial number (MSN) 5437, and first took to the skies on the 15th of January, 2013, and herald a new chapter for Indigo with an operationally more economical airplane, that has the potential of saving the airline in excess of US$400,000 per year, per aircraft. All future A320 aircraft to be delivered to IndiGo shall be fitted with the Sharklet wing tip devices. You may read up more on “sharklets” by clicking here. 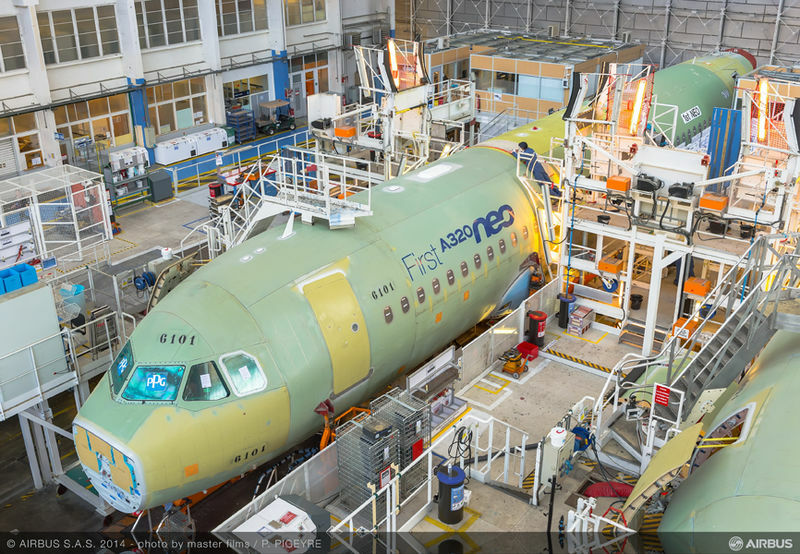 This aircraft will be the 75th A320 that the airline has taken delivery of. Of the 75, 14 no longer fly for Indigo. Indigo sells every aircraft that it takes deliver of, leasing the airplane back from the lessor. The lease period is typically for six years: sufficient time for Indigo to make the most of a new airplane’s reliability and performance, while avoiding an expensive “D” check. Those that flew for Indigo, for the first six years of their life, now fly for Ethiad, SAS, BH Air, Myanmar Airways International, Kibris Turk Hava Yollari Charters, and Turkish Airlines. MSN 5460 is the next sharklet equipped A320 slated to join the Indigo fleet as VT-IFI, while VT-INK will be the next A320 to leave the Indigo fleet. Go Air will be the next Indian airline to receive Airbus A320 aircraft fitted with sharklets. Air Asia recently received the world’s first “Sharklet”-equipped A320 for commercial operations. Indigo and Go air will very soon have VT-IFH and VT-GOL flying in the Indian skies; both equipped with “sharklets”. Ever wanted to know more about these “Sharklets” that are grabbing headlines today? Here is a comprehensive article on Winglets, or what Airbus prefers to call them: “Sharklets”, which are “Hunting down fuel burn“.